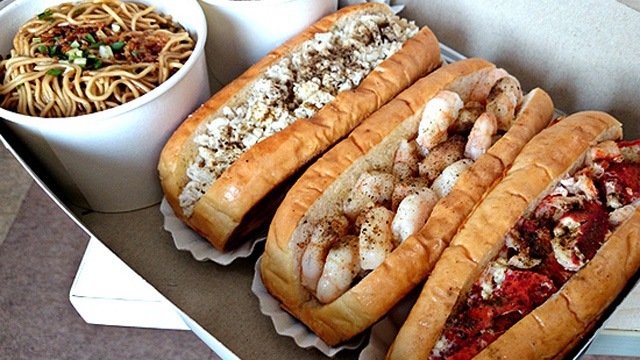 (SPOT.ph) The biggest city in Metro Manila never runs out of good eats to try. Lots of Japanese restaurants have joined the fray, each with their own tasty specialty to offer. 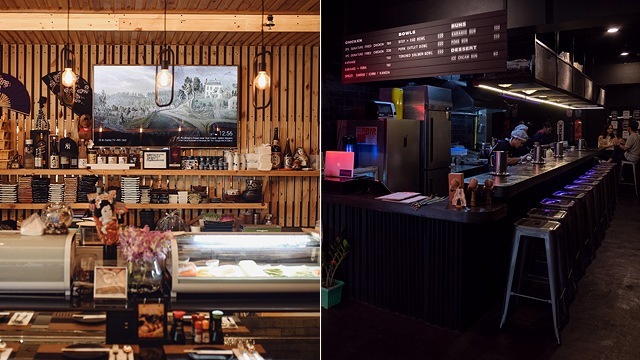 But if East Asian cuisine isn’t your thing, there are still others to try that might strike your fancy, from waffles and cookies to sinfully indulgent lechon dishes. Las Casas Quezon City is a stunning Art-Deco style mansion built in the '60s by Felipe Sanguil Juico and transformed by Jose “Jerry” Acuzar into a sprawling oasis in the middle of a busy city. 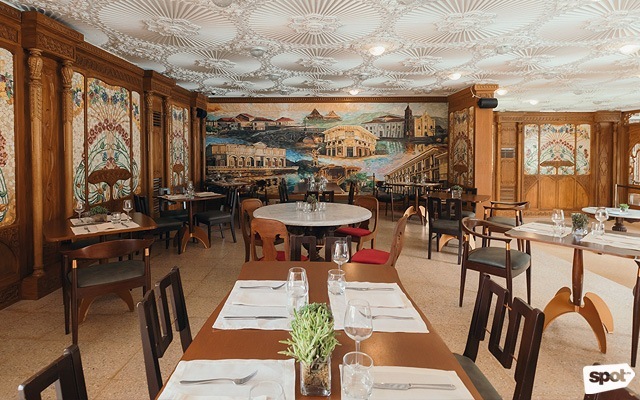 A space as palatial as this deserves food that is just as impressive, and their Spanish restaurant, Las Casas Manila more than fits the bill. 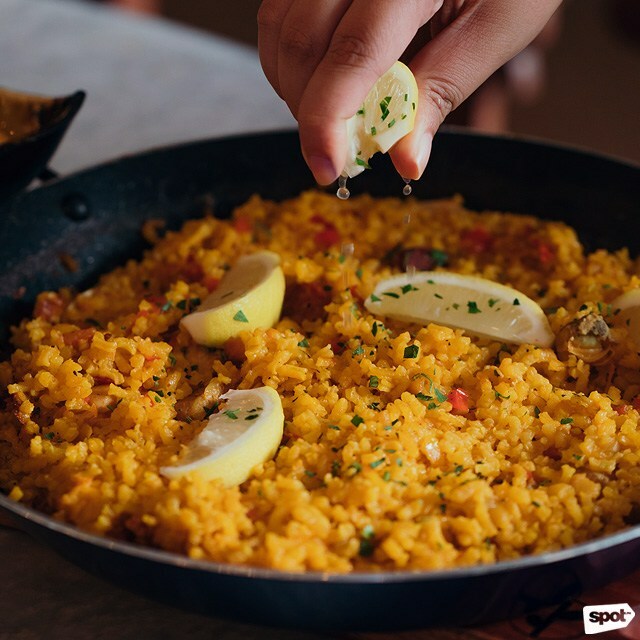 With a menu of Spanish favorites like paella, beef salpicao, and roast lamb chops by Chef Margarita Forés, and attentive staff that’ll make you feel like royalty, this is the restaurant to treat yourself to when you want to feel extra luxe. Las Casas Manila is at Las Casas Filipinas de Acuzar, 134 Roosevelt Avenue, Quezon City. The décor at 81 SeiHai screams big and bold, from the eye-catching red-and-black motif to the murals done in the style of Japanese traditional art covering every inch of the walls and ceilings. 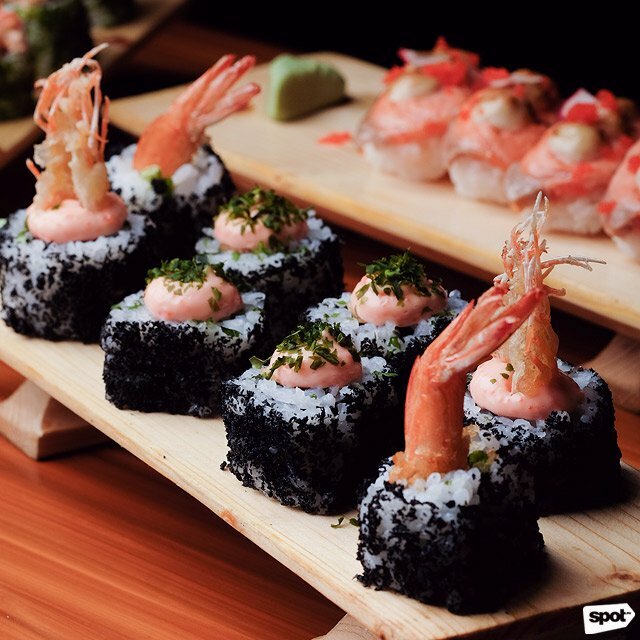 It’s a theme that extends to their sushi, which come in huge servings and punchy flavors. 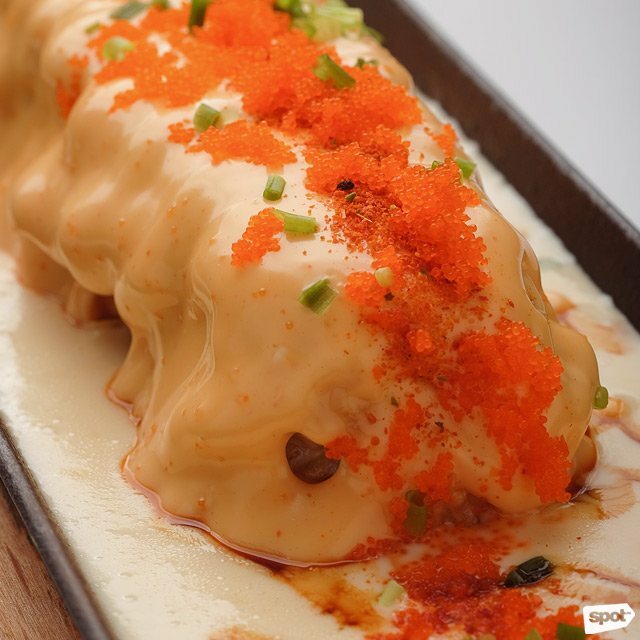 The Flaming Maki is a stunner when it arrives on the table with a blanket of melted cheese, and it boasts extra indulgent flavors, too, with a spicy kick from a generous shake of togarashi. 81 SeiHai is at G/F President Avenue, 81 Timog Avenue, Quezon City. If you love neon signs, street fashion, and fried chicken, we’ve found the unlikely intersection of your interests. 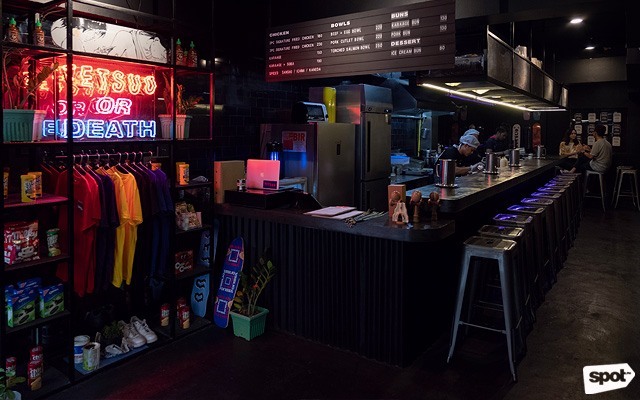 TETSUO has hip neon lights and a cool cyberpunk aesthetic; they sell T-shirts and other streetwear, too, though you might want to shop after you have your meal because you’re bound to stuff yourself on their fried chicken. 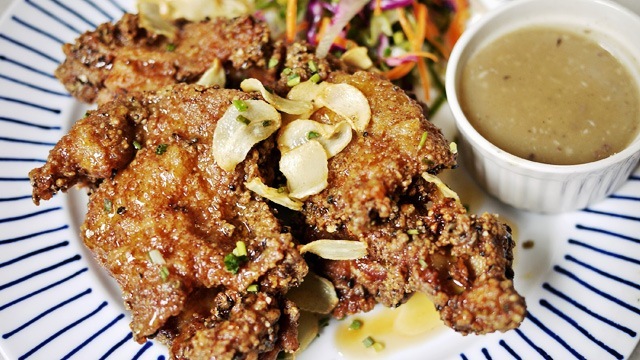 Their Signature Fried Chicken is satisfyingly crispy, and bursts with juicy flavor from a buttermilk marinade seasoned with seven secret spices. TETSUO is at 88 Esteban Abada Street, Quezon City. 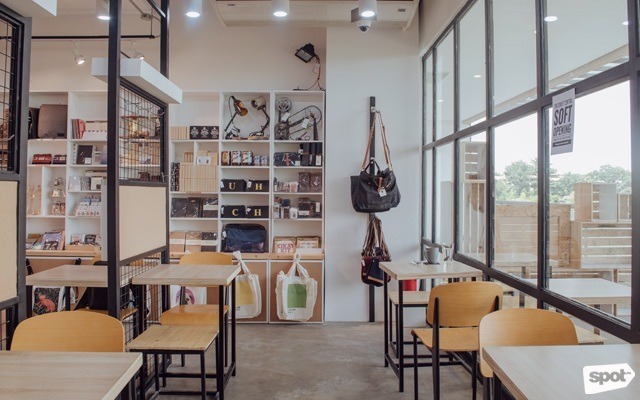 Food and design are in harmony at this beautiful café along Sergeant Esguerra Avenue. What would likely catch your attention immediately is the ropes that criss-cross the ceiling to form delicate patterns—a celebration of the all-women team’s femininity. 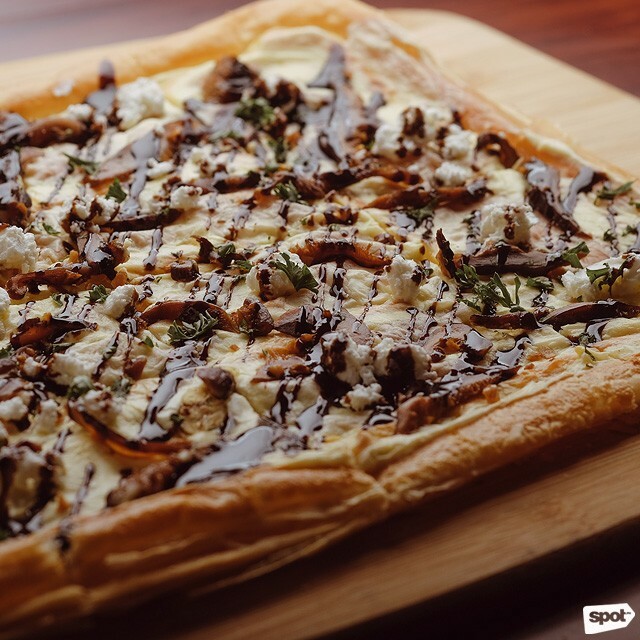 Secure a table in the cozy space and have one of the puff pastry pizzas—a slice of the buttery, flaky pie with vibrant flavors from toppings like goat’s cheese, shiitake mushrooms, and balsamic vinegar might just make you forget regular pizza. 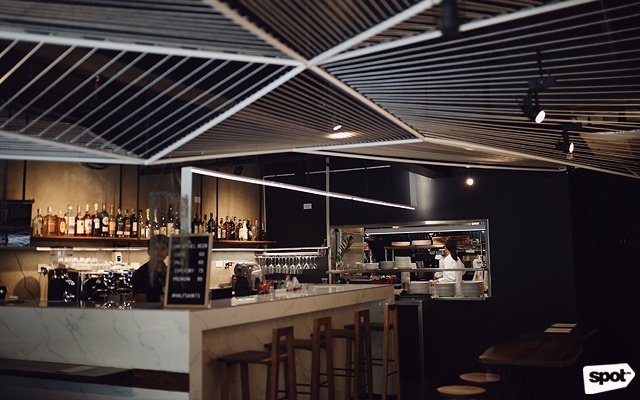 While we enjoy the company of friends, there are days when some alone time is in order, so we’re always on the lookout for places that are perfect for solo dining. 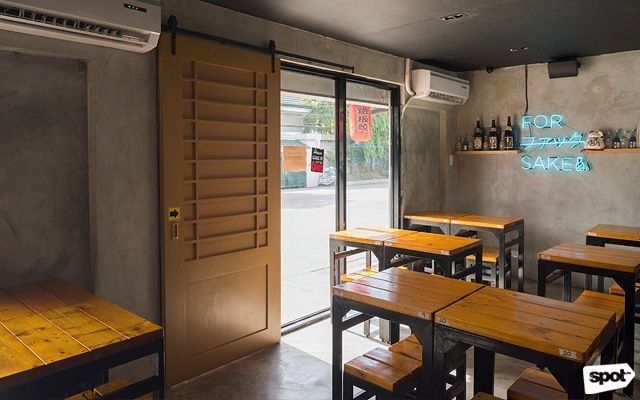 Ohayo is a cozy, almost easy-to-miss ramen and sushi joint in Valencia, Quezon City, and their dining area by the counter makes it a great option for solo diners. You also wouldn’t want to share any of their sushi anyway once you pop one in your mouth: The Ebi Black Maki combines two favorites—maki and ebi tempura—in one, with the crunch from the tempura amped up by fresh cucumber. With how hectic and stressful city life can get, White Camp is a much-needed escape, with their bright and inviting space. 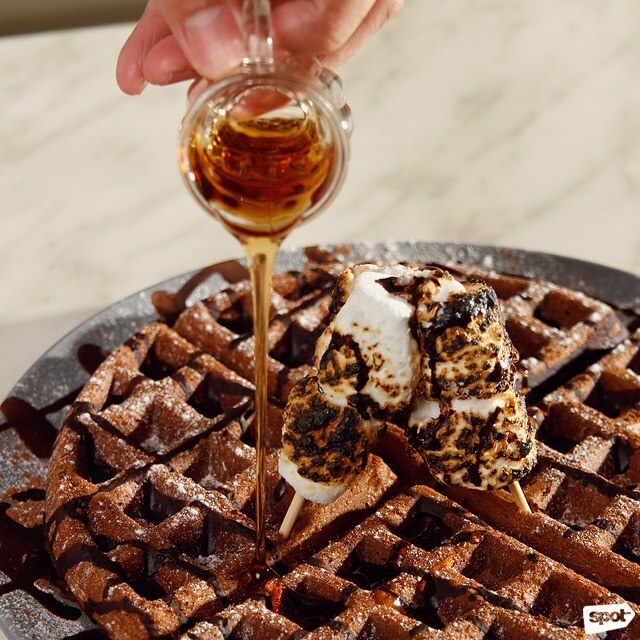 Pair your cup of joe with any of their waffles: The S’mores Waffle is rich and almost cake-like, and with a generous helping of maple syrup, it’s sure to satisfy your sweet tooth. 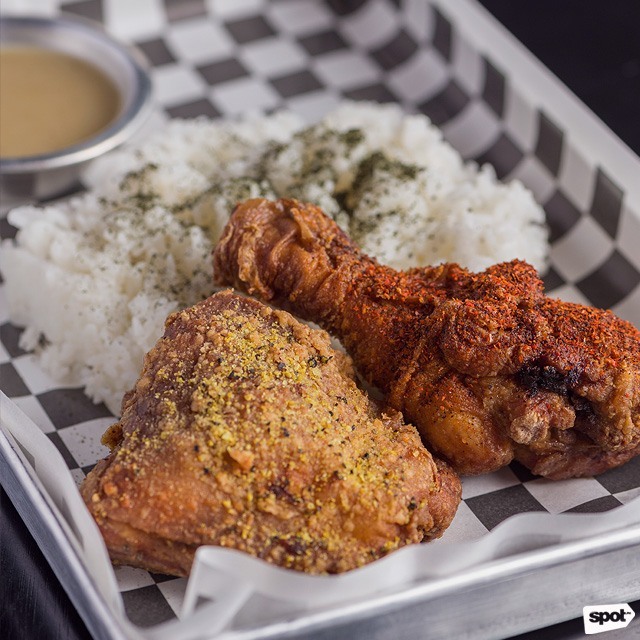 The Korean Fried Chicken may seem less typical of café grub, but the comforting pairing of crispy, lip-smacking Korean-style fried chicken and spicy kimchi fried rice makes it fit in just right in this cozy café’s offerings. White Camp Coffee & Kitchen is at 62 Sergeant Esguerra Avenue corner Mother Ignacia Avenue, South Triangle, Quezon City. Lechon every day? Though your doctor may not approve of it, it’s possible at The Lechon Shop. 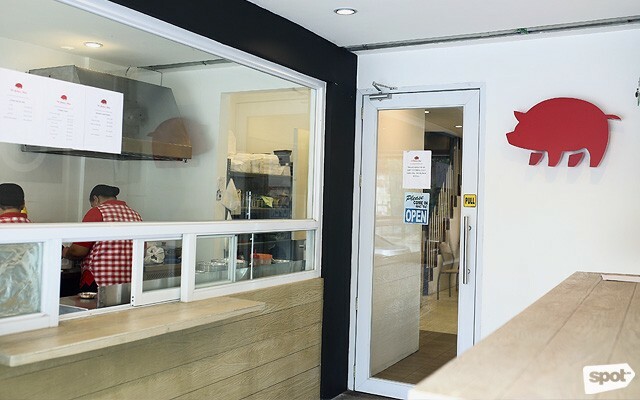 The no-frills QC eatery boasts an extensive menu of lechon-based dishes, from a sinful Lechon Sisig patterned after the creamier Kampampangan version to Lechon Flakes cooked adobo flakes-style. 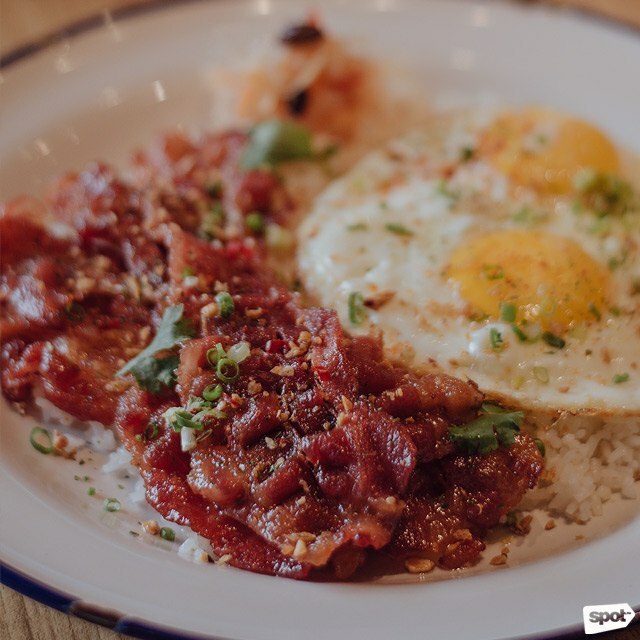 Or you could just go straight for a Lechon Rice bowl which will get you succulent lechon chunks on top of rice seasoned with sesame oil and salt for even tastier bites. 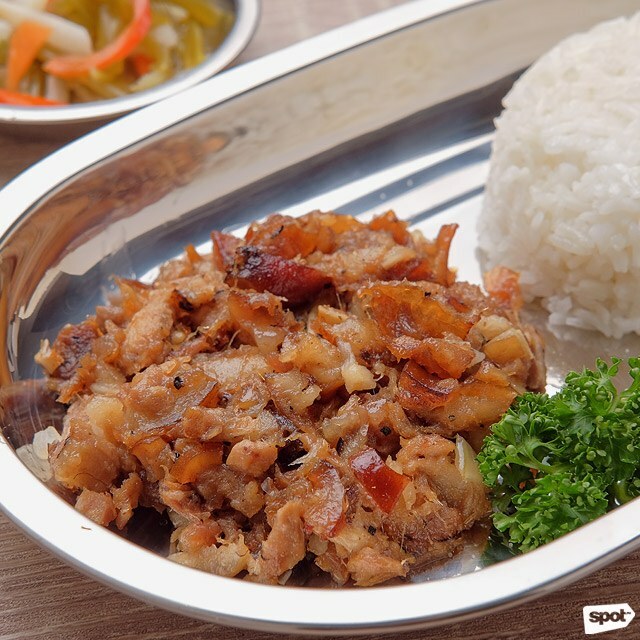 The Lechon Shop is at 49 Scout Tobias Street, Quezon City. Once upon a time, clubbing on Friday or Saturday night may have been the highlight of your week; but as you turn into a tito or tita at heart, a quiet but fun night out just seems much more enticing. 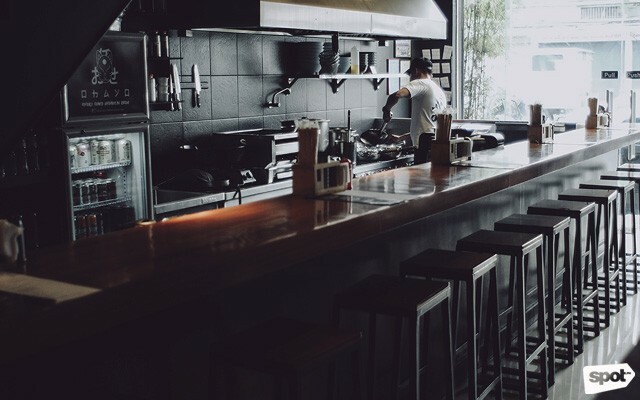 The folks behind Nomiya Izakaya feel the same, and so they’ve created this izakaya for those laid-back nights out with friends. 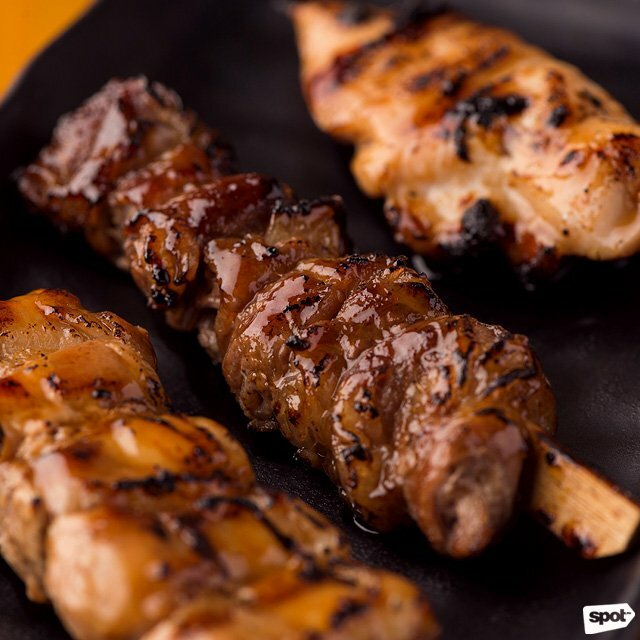 Like any proper izakaya, they’ve got their line of yakitori: Though the skewers are traditionally made with chicken, their Beef is a scene-stealer with how butter-soft it is. 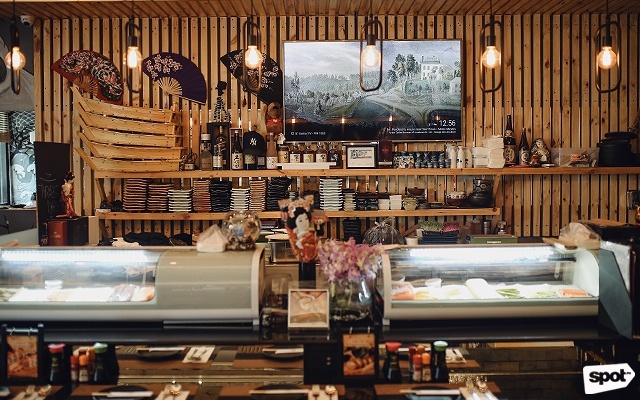 Don’t miss their other Japanese staples, some of which—like Ika Nuta, a clean salad of raw squid, miso sauce, and wakame—are hard to find anywhere else. Sunny, camping-themed Scout’s Honor is sure to bring out the kid in anyone, especially with board games that are free for anyone to use. This Vertis North outpost is the first standalone branch of the cookie store, and with their bigger space also comes an expanded menu that now includes savory food, like the IKEA-inspired Meatballs In Gravy and Bacon Tocilog, a twist on the Pinoy classic with bacon strips cooked tocino-style for that familiar sweet-savory flavor that goes well with garlic rice and a sunny side-up egg. Scout’s Honor is at G/F Ayala Malls Vertis North, Quezon City. The problem is all too familiar for art-supply hoarders: You buy lots of crafting materials, but you can’t seem to find the time to work on any of your planned projects. 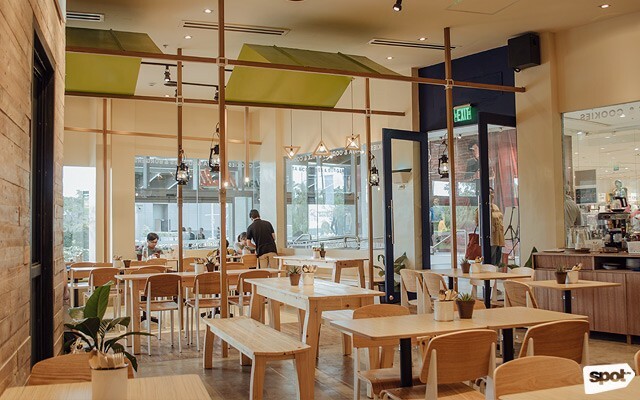 The Craft Central’s newest branch at Ayala Malls Vertis North offers a solution: Why not stay at their new café? The Craft Central Café is homey and sunlit, making it the perfect space to work on your art. 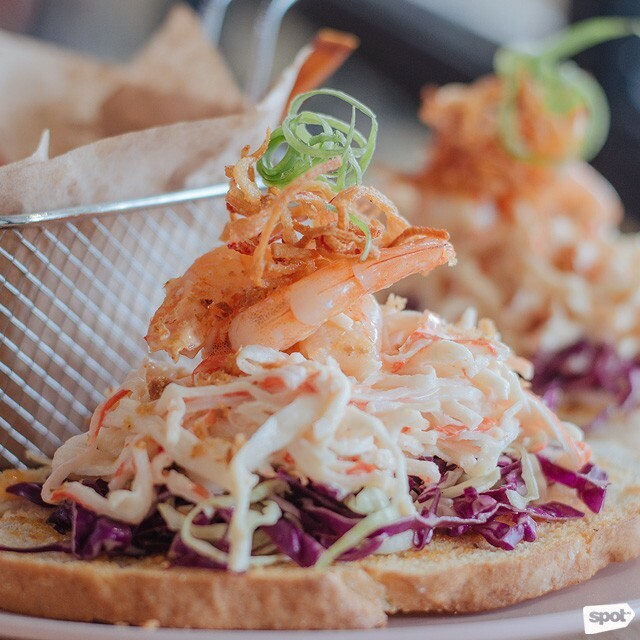 It helps that they have a lot of tasty bites, too, that would make you want to linger: Pair any of their open-faced sandwiches, like the Spicy Shrimp Slaw Sandwich topped with kani, red-and-green coleslaw, and spicy mayo, with coffee by Black Press PH or milkshakes in classic flavors like chocolate, vanilla, strawberry, and cookies and cream. 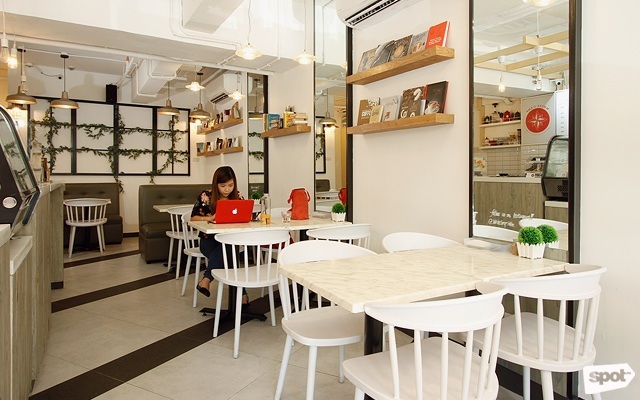 The Craft Central Café is at 2/F Ayala Malls Vertis North, North Avenue, Quezon City.